THE MEANING OF COMMUNITY OUTREACH AND ENGAGEMENT OF FAMILY AND FRIENDS … FROM A PHYSICIAN’S PERSPECTIVE. 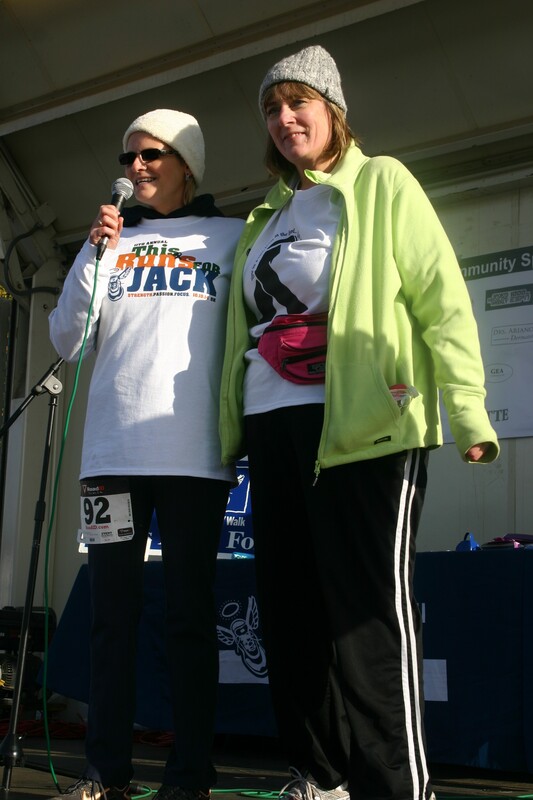 Dr. Sigrun Hallmeyer with patient Linda K. (Team Go Gitty Go) at the 2014 This Run’s for Jack. “I have been treating patients with melanoma for over 12 years now, and was able to witness the amazing advancements of treatment options in this recent decade. More often we have been able to transform a previously universally fatal illness into a chronic disease that one can live with for sometimes several years, and I have been amazed by many patients who have been cured and moved on to a normal and productive life. 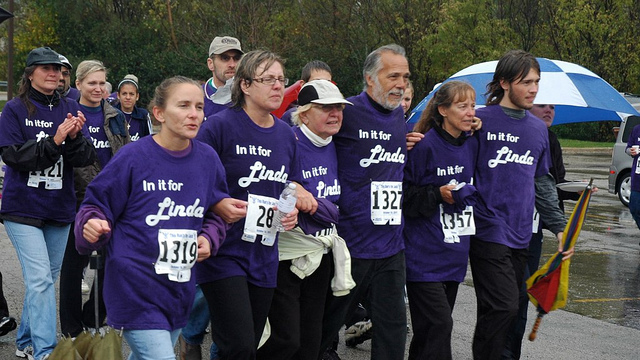 However, the fight remains challenging and by far not all patients present success stories. The treatment is difficult and toxic, and often life changing. And the support that we as physicians, nurses and other medical support staff can provide is significant, but by far not all-encompassing. 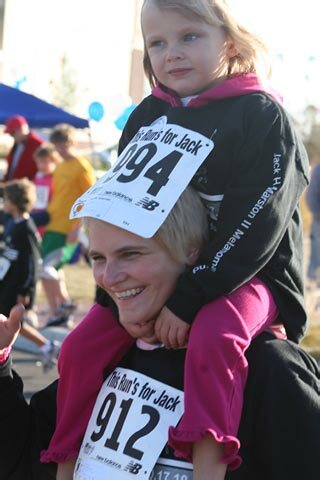 And this is where the power of community outreach comes in – where there is a platform that provides for an active interaction of the medical community and the patient care and support community – the many family members and friends that stand shoulder to shoulder with our melanoma patients. These people carry our patients through this challenging fight and represent the shoulder to be cried on, the hands thrown up in the air with a huge hurray for every tiny success, the legs that walk the extra mile for every possible need… The true CHEERLEADERS. “This Run’s for Jack” represents the cheerleader’s headquarters for me.